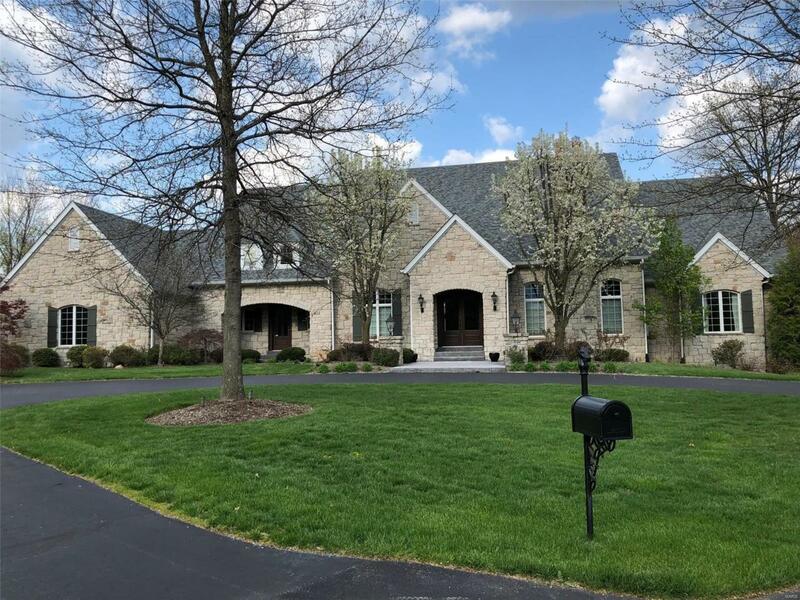 This custom DeShetler built 1.5 story sits on a lovely level 1.49 acre cul-de-sac lot*Open flr plan w/ceiling hts up to 14' in some areas*Gracious entry w/polished limestone flooring & granite inserts*Study w/gorgeous paneling, beamed ceiling, built-in bookcases & gas FP w/granite*Sapele Exotic African Hardwds in the GR, study & DR*Formal DR w/tray ceiling*GR w/14' ceiling & gas FP*Fabulous gourmet K w/island, 6 burner Viking stove, Viking ovens, Sub-Zero plus lateral refrigerator drawer, walk-in pantry, granite, 2 dishwashers, recessed lighting & warming drawer*Butler's Pantry*Breakfast room w/built-in desk & bookshelves*Wet bar w/granite, dishwasher, wine cooler & Fr. doors to the patio & pool*Mn floor MBR w/tray ceiling, gas FP & luxury bath w/granite topped separate vanities, custom cabinets, dry bar w/mini refrig, water closet w/bidet, walk-in customized closet*Each BR has a bath*Beautiful pool, sprinkler, circle drive, landscape lighting & oversized garage*Pristine condition! !